The NHL pool was "won" by John Roncallo. See Benzworld Thread here. GTG was held August 30 - 31 weekend in Summerfield NC 27358. 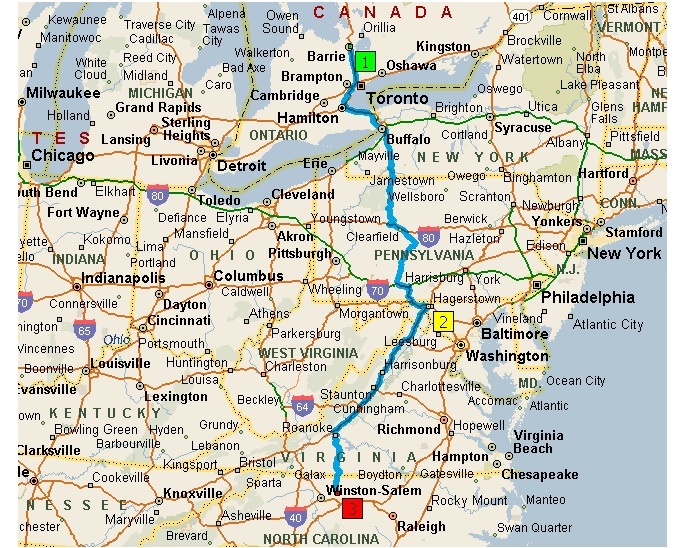 Nobby and MrElbe travelled on Thursday Aug. 28 from the Toronto area to Hagerstown, MD [2 on map]. There Pete ( petesmga ) and Tom ( rockcrusher ) met us. It was approximately a 7 hour drive including scenic stops and lunch stop.